Originally posted on 21 March 2017. Scroll down for news of the official launch. Online content maketplace TurboSquid has launched StemCell, a new system that enables users to upload models in the native file format of one 3D application and have them converted to that of another. The technology, which is in public beta, can currently convert files between the native formats of 3ds Max and Maya – both using either the native or V-Ray renderers – plus Unity and Unreal Engine. The inability of one 3D package to properly read assets saved in the native file format of another has dogged artists for years. Interchange formats like OBJ, FBX and Alembic don’t preserve all of the data from the original scene file, and while tools like Okino’s NuGraf and PolyTrans will do the conversion for you, they’re commercial products. 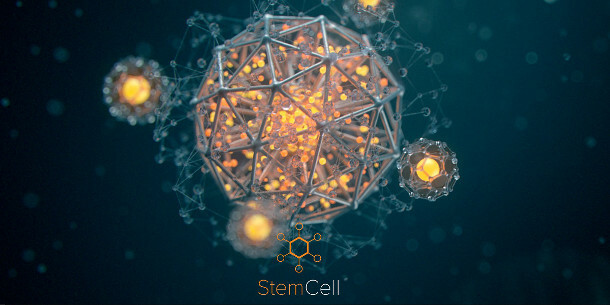 StemCell offers the prospect of being able to do the job more simply – for models sold through TurboSquid, at least – with users simply uploading a file and having it automatically converted to other native formats. To ensure a good-quality conversion, TurboSquid recommends that models should be submitted as clean subdivision surface meshes with good edge flow and the minimum density possible, with unwrapped UVs. There are some restrictions: you can only use texture-based materials, not procedurals, for example, and users are discouraged from using blend materials. Textures should use either a standard specular-gloss (diffuse, normal, specular and glossiness maps) or metallic PBR workflow (albedo, normal, roughness and metallic maps). The work is being supported by Autodesk and Allegorithmic, both of whom provide approving quotes on TurboSquid’s website. The list of compatible software is currently Autodesk-centric – as well as 3ds Max and Maya, StemCell will support its Stingray game engine – but TurboSquid says that support for Blender and Cinema 4D is planned. Other apps due for support include the Arnold and mental ray renderers, and the Lumberyard game engine. While StemCell won’t eliminate the problem of file conversion – to use the technology, you have to use TurboSquid’s services, which means granting the site a perpetual licence to distribute the asset – it looks to be a very handy resource for artists selling 3D models commercially. The system is currently in public beta, and comes with extensive online documentation. Updated 15 January 2018: StemCell is now officially out of beta. As well as 3ds Max, Maya, Unity and Unreal Engine, the system now supports Cinema 4D scene files using the software’s Physical renderer.